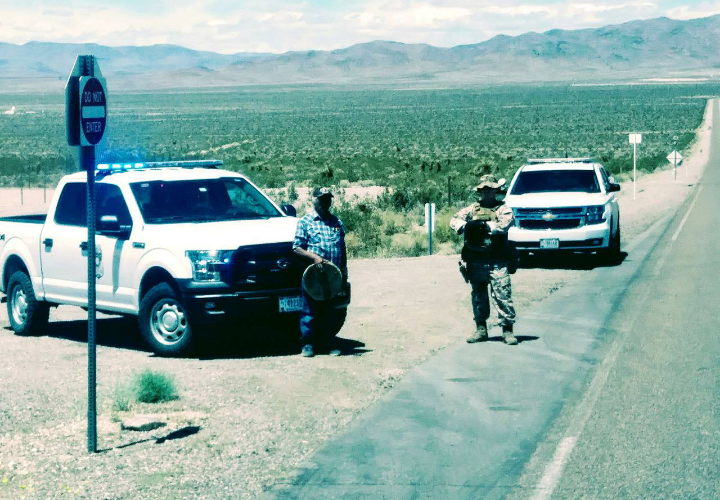 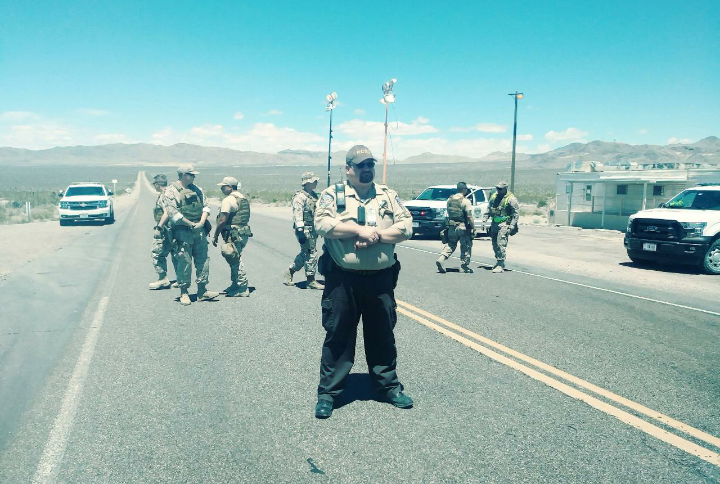 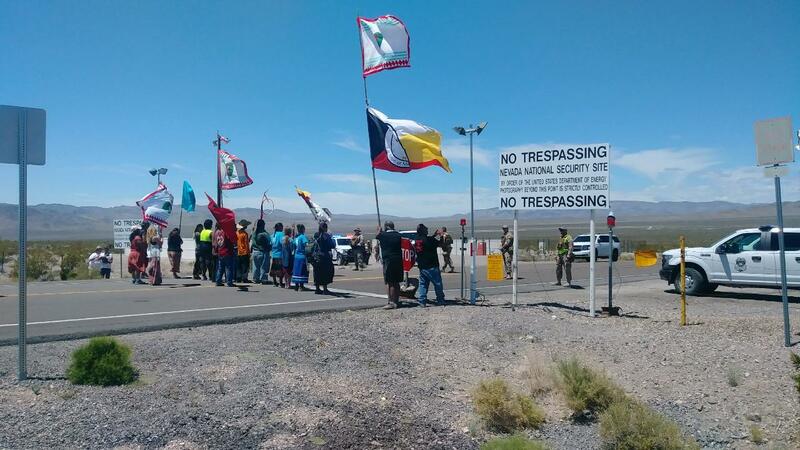 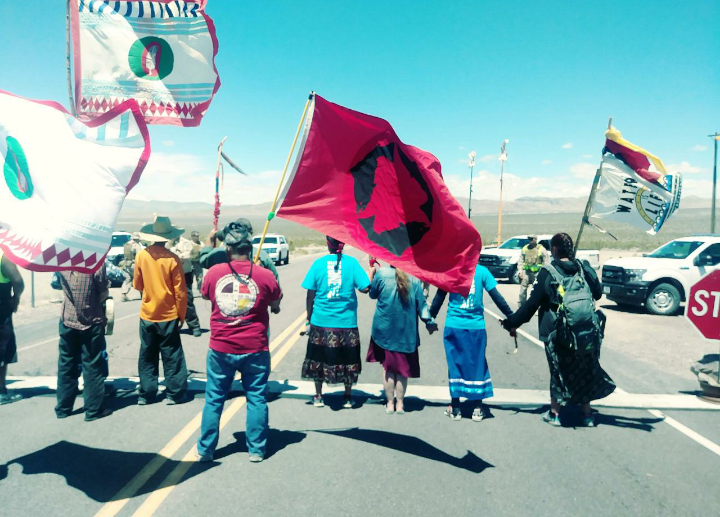 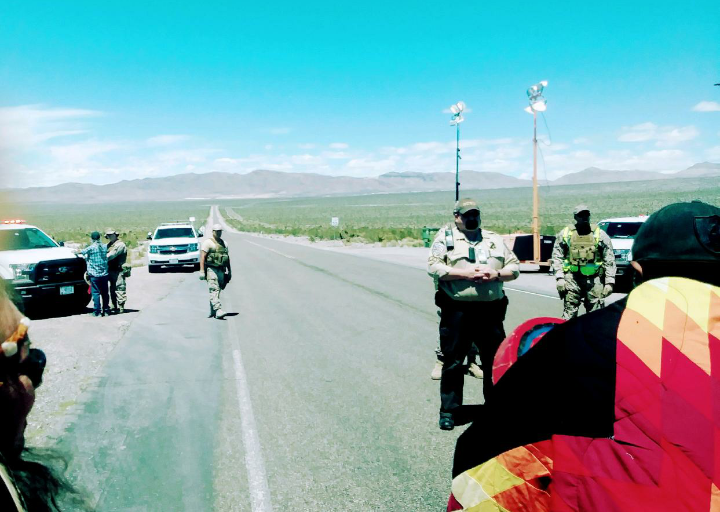 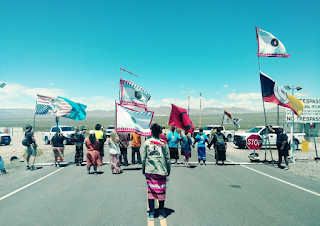 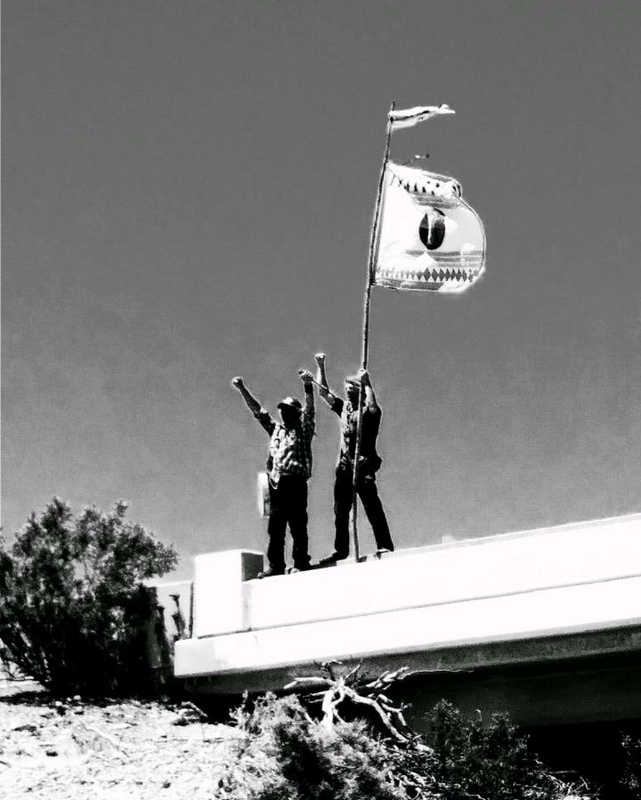 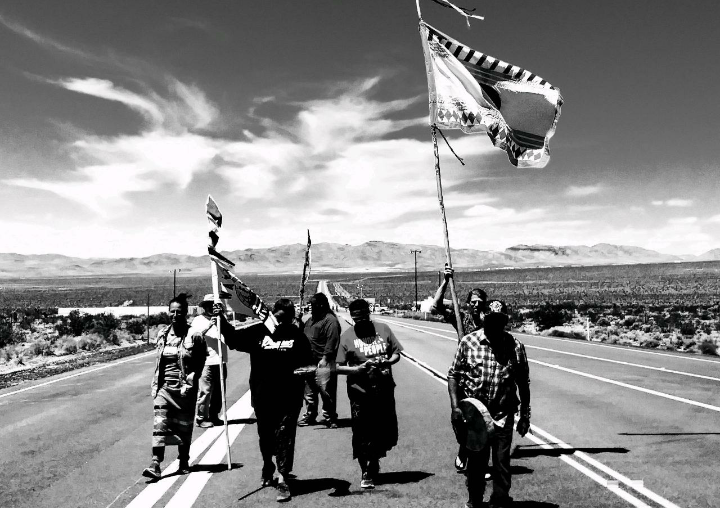 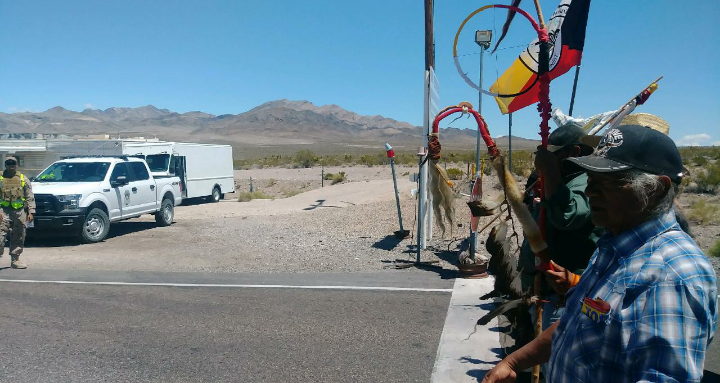 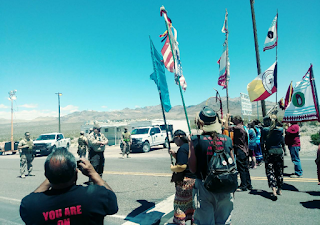 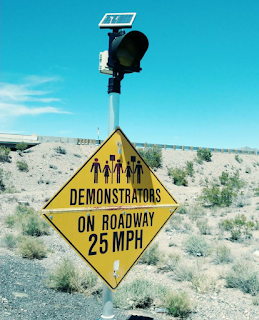 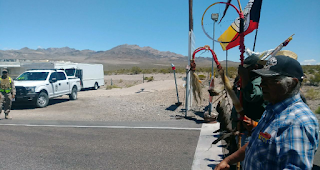 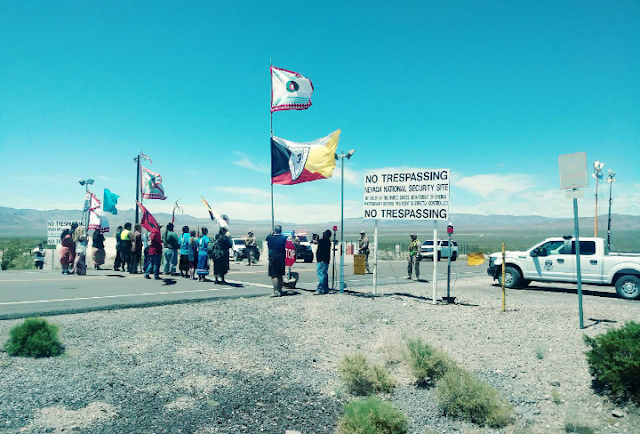 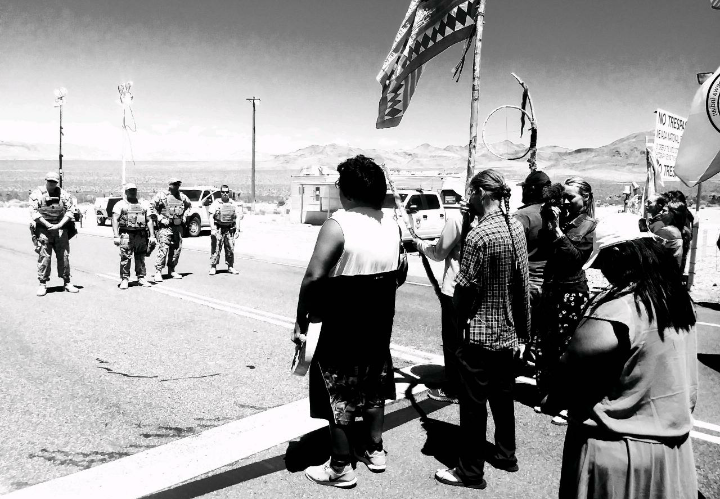 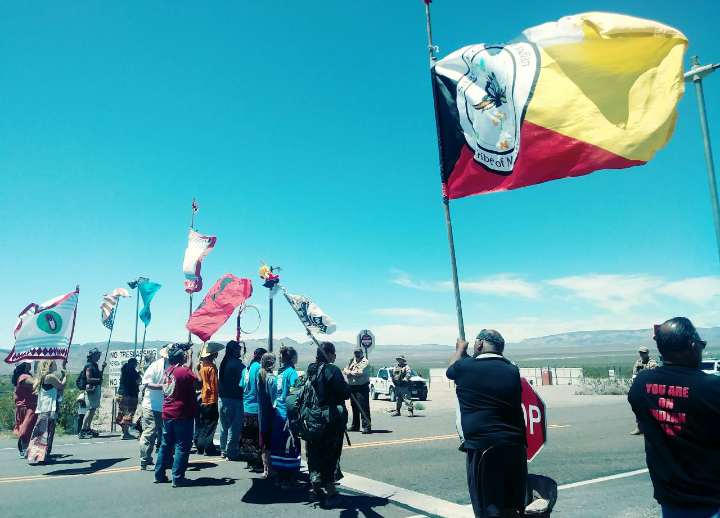 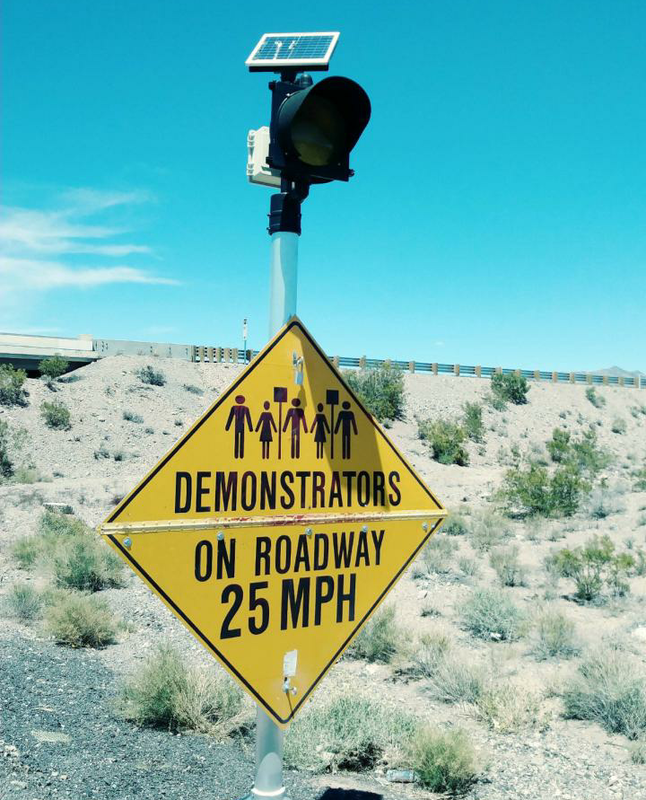 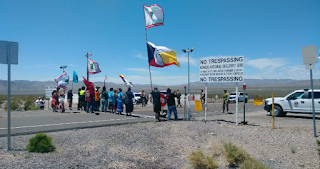 Buck Sampson, Paiute elder, said, "The Shoshone Runners and Walkers went to the main gate of Yucca Mountain today to protest the way this government has been storing used nuclear fuel rods, and carrying out detonations underground and nuclear testing. "It is contaminating underground water in aquifers. 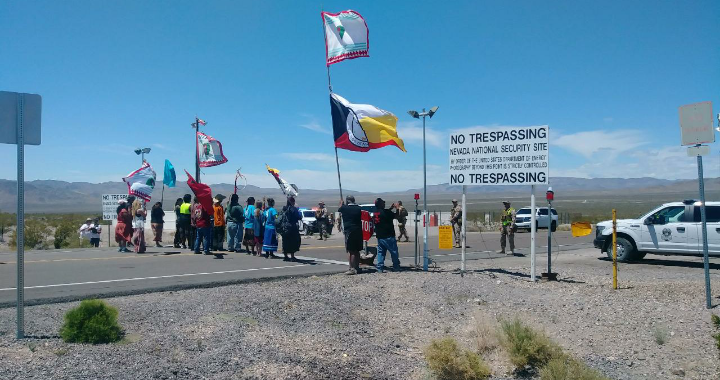 Sacred sites and burial places have been desecrated in violation of the 1863 Treaty of Ruby Valley, Medicine, and the way of life for Shoshone people who got sick. 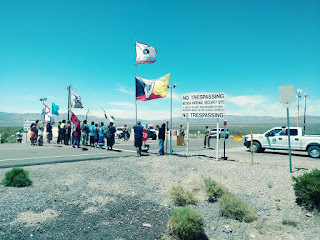 There is cancer and the wildlife are contaminated with nuclear testing. 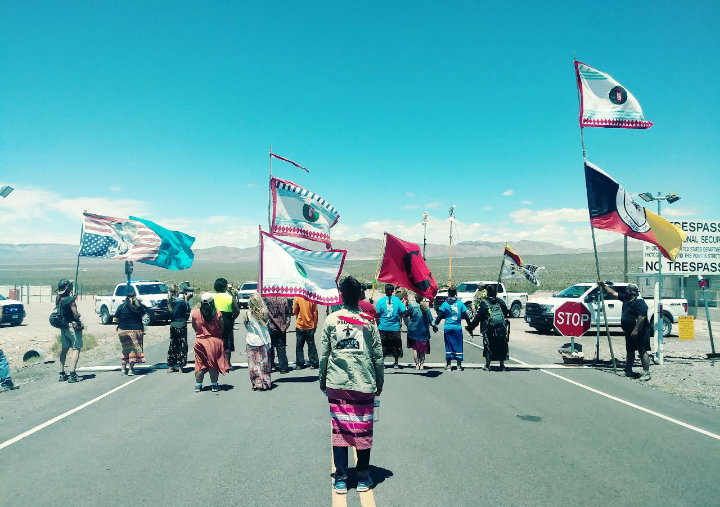 One woman was arrested today, and released later, and other women were nearly arrested, today, the day before Mother's Day. 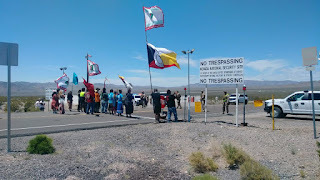 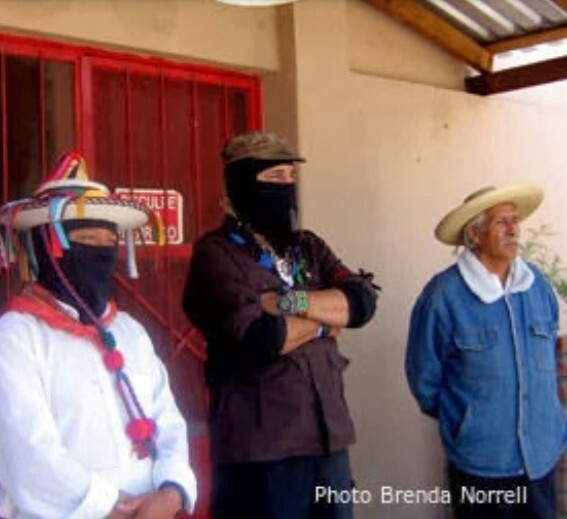 Peaceful Prayer Walkers and Runners are returning to Peace Camp west of Yucca Mountain for continued prayer ceremonies." 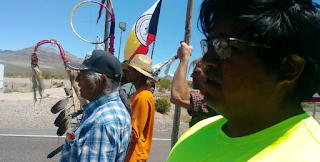 Copyright Carl Sampson, Buck Sampson, Censored News.